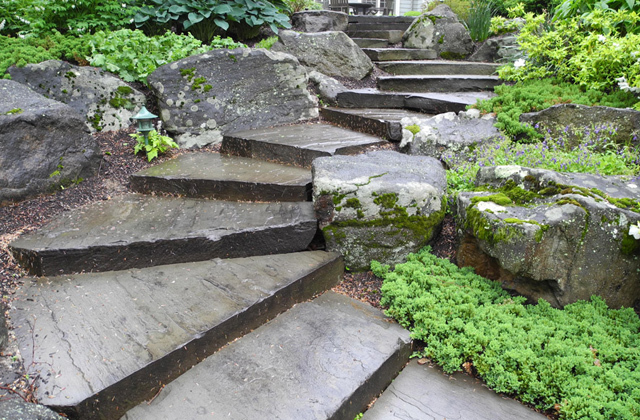 This stone step is natural cleft on the top surface and more square in dimension to create a riser that can easily be used for installation and functionality. Usually blues, greys with some brown weathering tones. 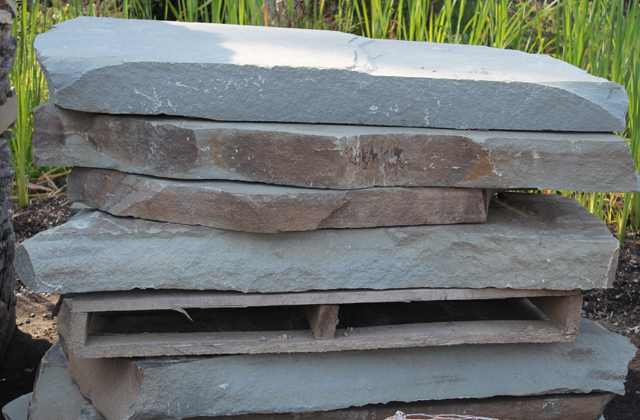 Stone is sold by the ton and can measure any dimension while trying to keep it near a step sizing.